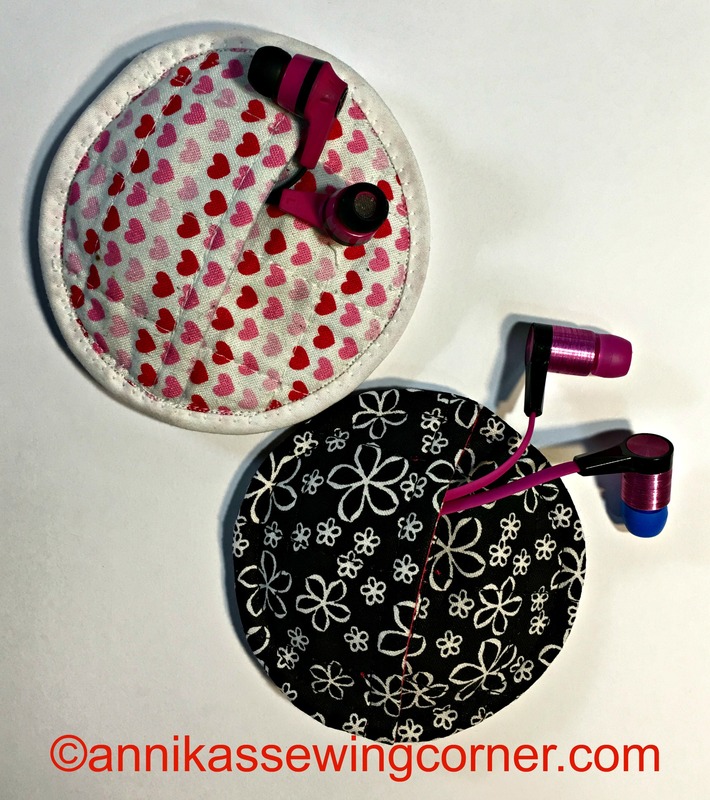 Last week my eldest daughter asked me too make a pouch for her headphones so the cord wouldn’t get tangled up. She wanted a slim pouch without a zipper or key ring because she like to put it in her bra. There is not enough pockets on her school uniform. It can be kept anywhere though. Draw two circles on a piece of paper that’s about 4 – 4 1/4″ in diameter, use a large mug or small bowl or something similar to draw around. 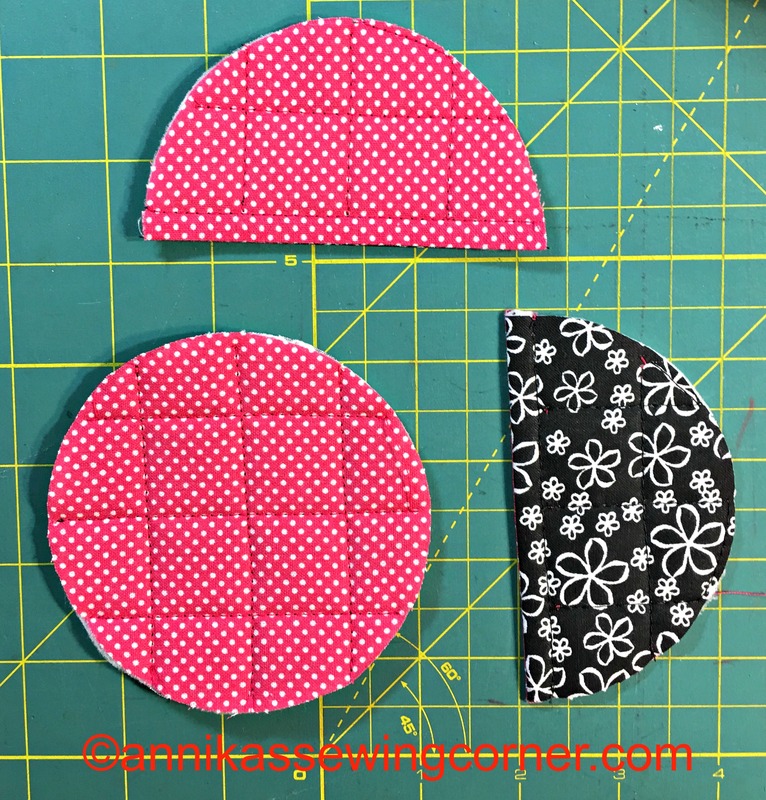 Cut the circles out and fold one of them in half, that’s your two pattern pieces. 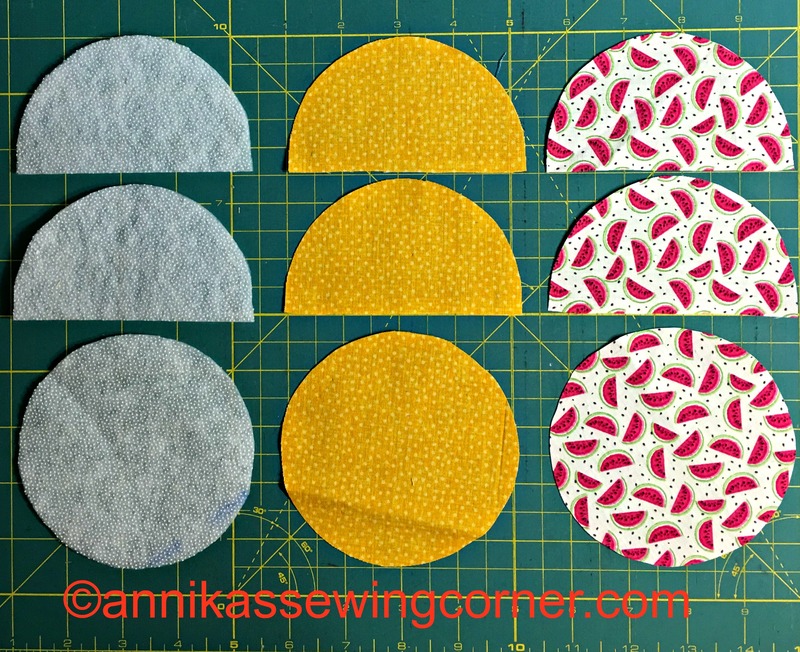 Using the full circle, cut out one piece each from outer fabric, lining fabric and thin iron on batting. 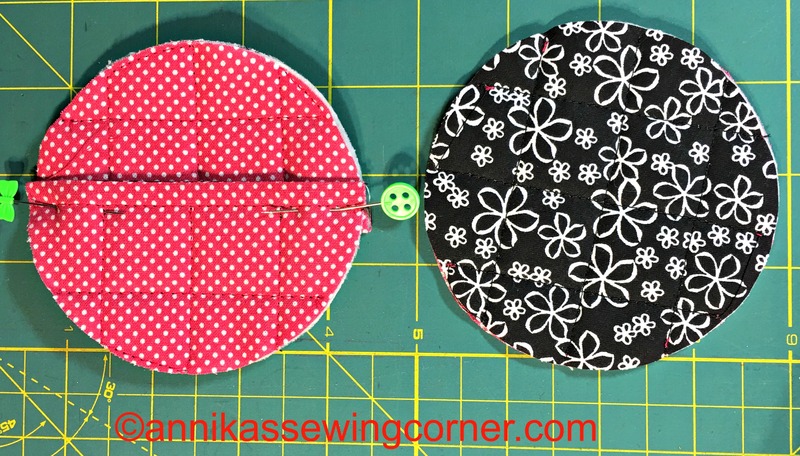 Using the half circle, add 1/2″ seam allowance on the straight edge and cut out two pieces each from the outer fabric, lining fabric and thin iron on batting. Iron on the batting on the outer fabric pieces. 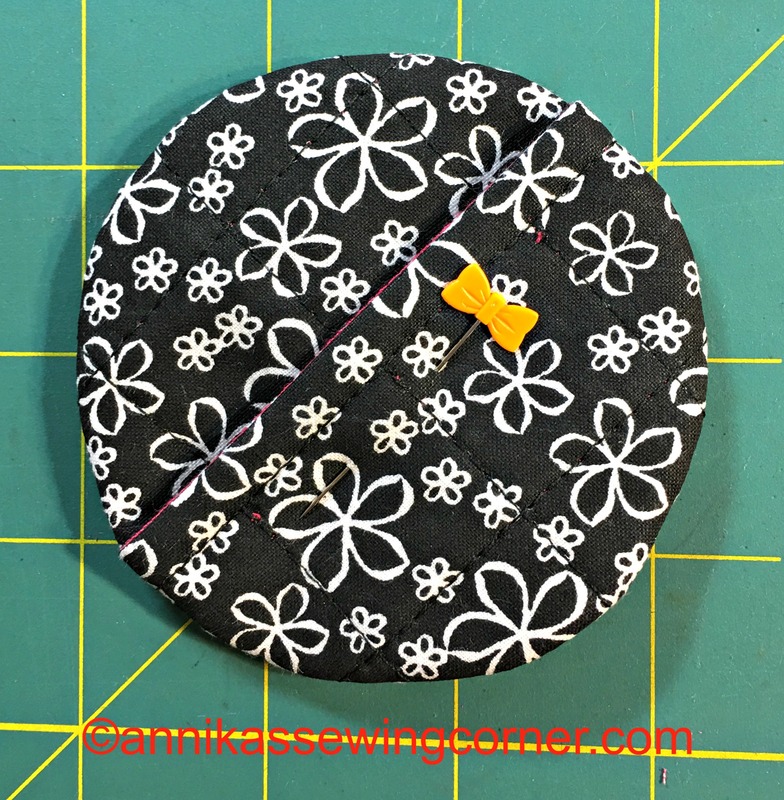 Place a half circle from the outer fabric and lining fabric right sides together and stitch with a 1/4″ seam allowance along the straight edge. Iron the seam apart and fold wrong sides together, press and top stitch along the straight edge. Place the full circle pieces wrong sides together and quilt all three pieces anyway you like, I did a simple 1″ grid. Place the two half circles together, overlapping about 1/2″ so they are the same size as the full circle. 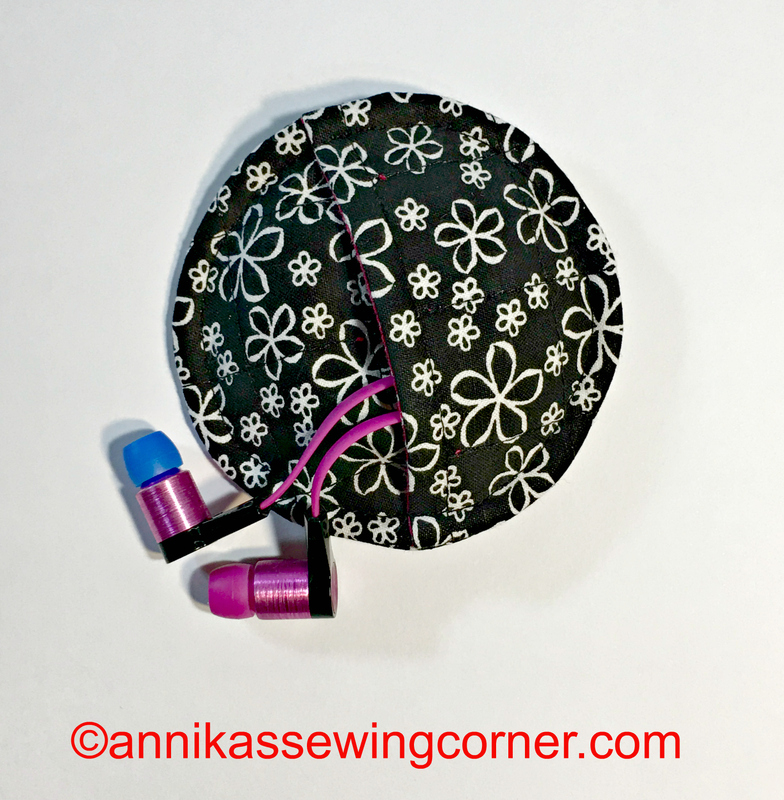 Place the two circles right sides together and stitch around with a 1/4″ seam allowance. 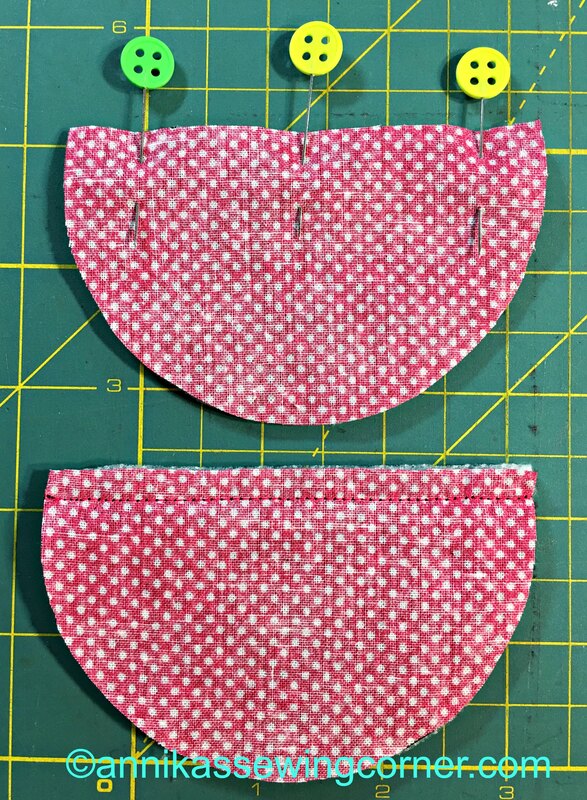 Cut the seam allowance with pinking shears or cut out small triangles with small normal scissors to minimize bulk. Turn to the right side and push out the seam very well all the way around. 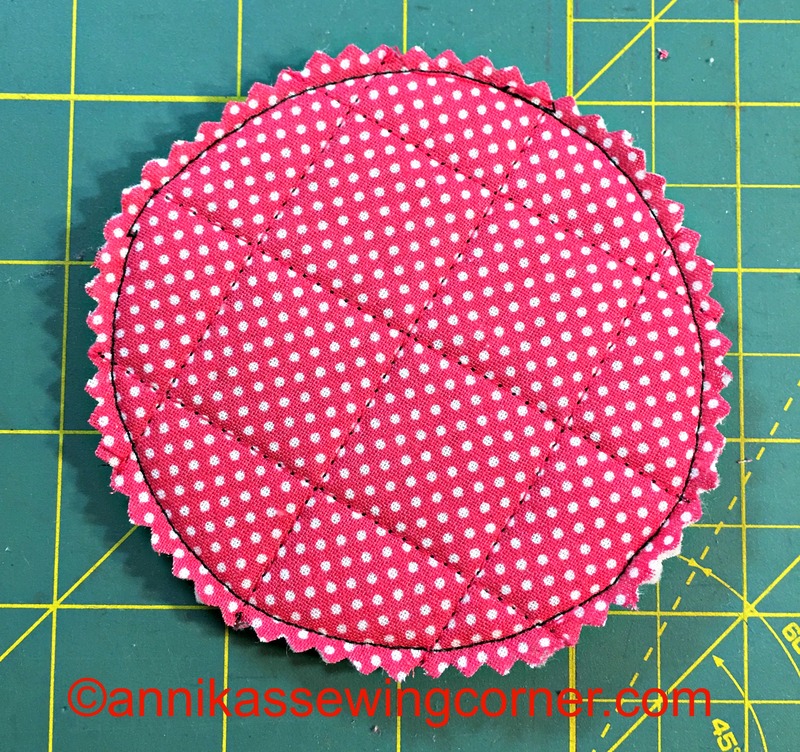 Place a pin through all the layer in the middle to keep it closed while top stitching. Top stitch all the way around 1/4″ from the edge so the raw edge is enclosed. It’s like a backwards French seam.